With Ramadan just around the corner, one can’t help but feel excited, and if I’m honest a little nervous. 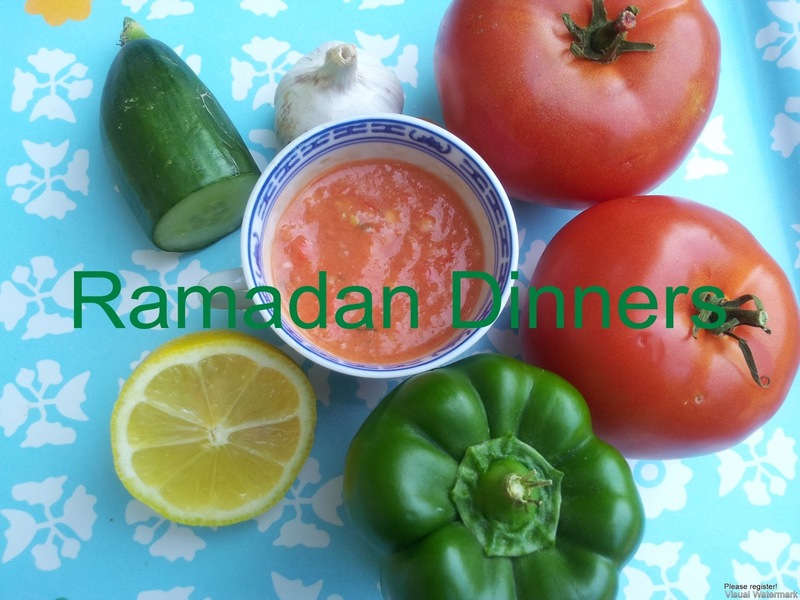 For medical reasons I was unable to fast last year during Ramadan so I missed out on fasting in summer. 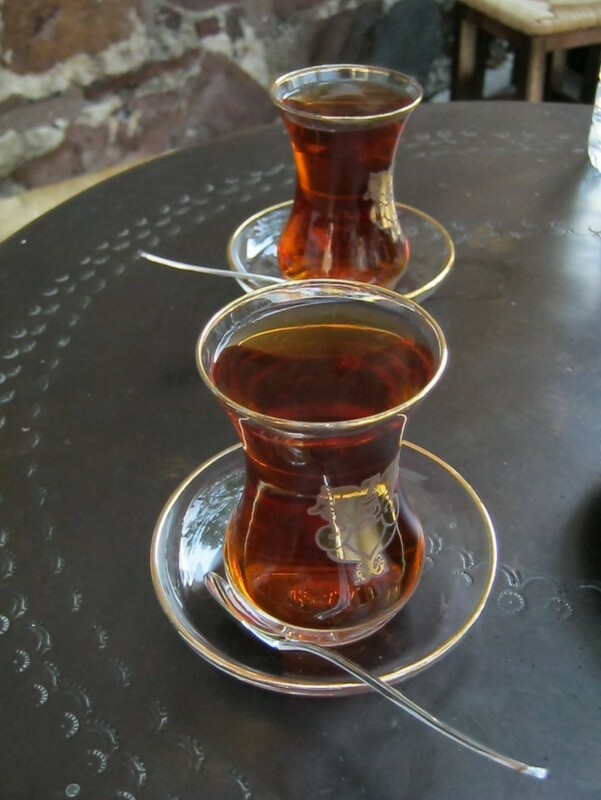 This year in effect is my first season of summer fasting for quite some time. With temperatures in the UK set to rise to 30 degrees (normal in hot countries) it is going to be hard. How many of us though are guilty of other wrong doings while fasting? I, myself, at times in my life have had to question my actions while fasting. 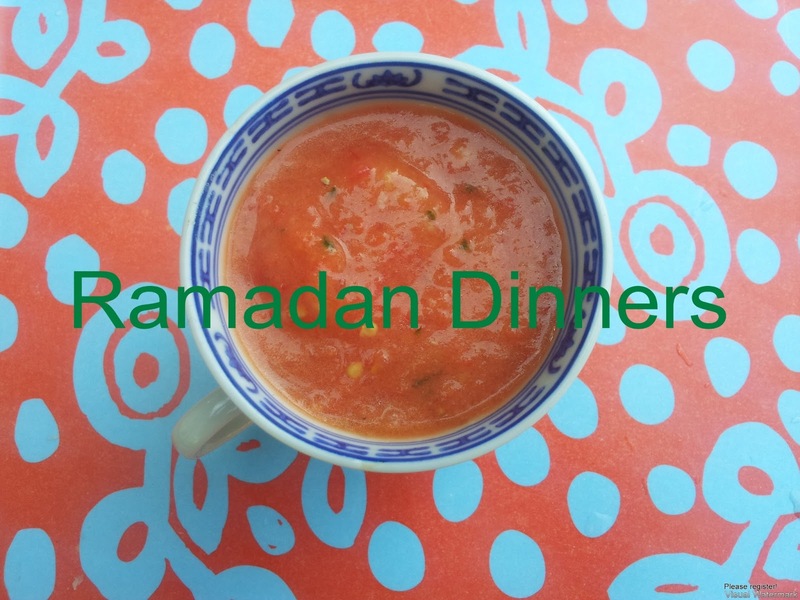 In the ‘speed’ of my life I was happy that I was fasting and keeping up with Ramadan, it wasn’t until a particular occasion that I suddenly had one of those “Aha” moments where I had to question what I was doing and ask myself was it totally in opposition of the whole ethos of Ramadan. What I was doing is irrelevant, but what is relevant is that I realised and that I was able to assess my actions and make a positive change. Inshallah keep in your mind while going about your ‘normal’ day to day actions that sadly if we are still doing wrong things while fasting, it is as we are not fasting. I don’t intend to sit on a pedestal say I am in a state of perfection more that I am reminding you while I am re-reminding myself to watch what I say, do, think etc. 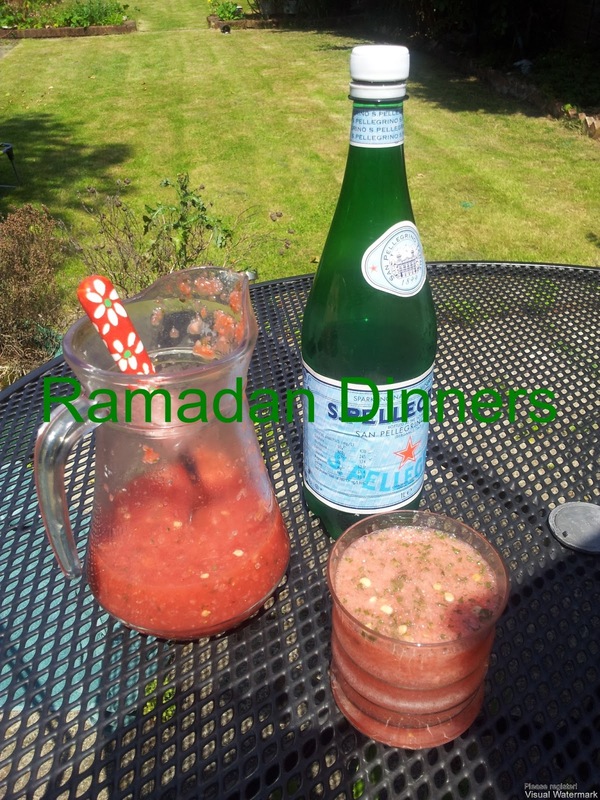 I made this drink on a hot day and have got to say this is lovely. 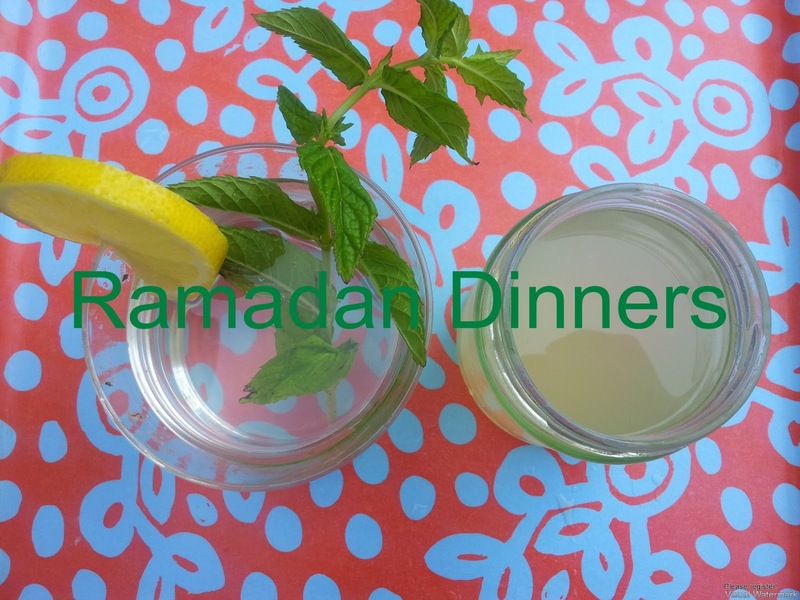 I think during hot weather Ramadan it is very easy to reach for juice or fizzy drinks immediately at iftari when really we need to replace the lost water and salts needed by our bodies. This drink is quite cooling and at the same time has a bit of a kick from the ginger. If you have never had raw ginger juice before, start by adding half a tablespoon at a time until you find what suits you. This drink contains the roughage of the fruit of both the watermelon and the strawberries while this will result in the drink being thick this is excellent when exiting the fast. It is important to consume natural foods and their pulp, this will help rehydrate as efficiently as possible. Keep this in the fridge during the day and maybe take out a bit before iftari so that it is not too cold when drunk. In a food processor place the watermelon, strawberries, mint leaves and blitz until smooth and liquid. Place in to large jug and add the ginger juice. Place in the fridge. When ready to serve fill glasses a third of the way and then top with chilled sparkling water. Inshallah our duas will be answered this Ramadan – amen.